After the shock of me declaring that I wanted to thru-hike the AT wore off, my husband, Allen, and I talked a lot about how being separated for up to 7 months would impact us. A recurring theme of our conversation is safety. We have talked about potential threats including animal encounters, negative human encounters, potential injury, and the fact that I am a terrible navigator. Most thru-hikers I’ve spoken to, and most of what I have read, indicate that aggressive animal or human encounters is rare, navigating the trail is pretty easy given all the white blazes, and injury will just depend a lot on my body’s ability and/or unforeseen circumstances. Even though the risks of thru-hiking seem minimal, Allen and I have decided that navigation and communication are in integral part of my thru-hike preparation. For safety and navigation, I have decided to carry 50ft of my bear bag throwing rope, a small clip on pepper spray, a small clip on alarm, a Garmin InReach Explorer GPS device, a compass, and my IPhone with Guthooks app. There is a saying that we carry what we fear. All of the items listed above definitely fit that category. However, I’d rather start out, and even end, with what makes my hubby and I feel confident. One of my fears is getting lost or turned around. I am terrible at navigating directions and often feel like I’m going the wrong way when I’m in unfamiliar places. I recently read a story that added to my fear. In July 2013, Geraldine Largay, who went by the name of Inchworm, stepped off trail to use the bathroom and subsequently got lost. Inchworm got very turned around and could not find her way back to the trail. Unfortunately, Inchworm died. Her remains were found years later. A journal was found with her remains that provided a detailed account of her last days. She recounted how she attempted to send emergency text messages to her husband and attempted to set up a reflective signal in case of helicopter search. She also tried to find the trail again, but is reported to have not known how to use a compass. This tragic story of Inchworm stepping off trail to take care of business and getting turned around has really stuck with me. You can read a NY Times account of her story here. I believe that I could easily get turned around, just like Inchworm did. My first idea in how to avert this is to use my bear bag rope for a dual purpose. When I need to step off the trail to use the bathroom, I can tie one end of my rope on a tree on the trail, and then step the necessary paces for LNT and then, when I finish my business, I can just follow my bear bag rope back to the trail. This is a super easy, low tech solution. I carry a Garmin InReach Explorer GPS device, for three purposes: 1) communication, 2) an emergency beacon, and 3) so my husband can track me. 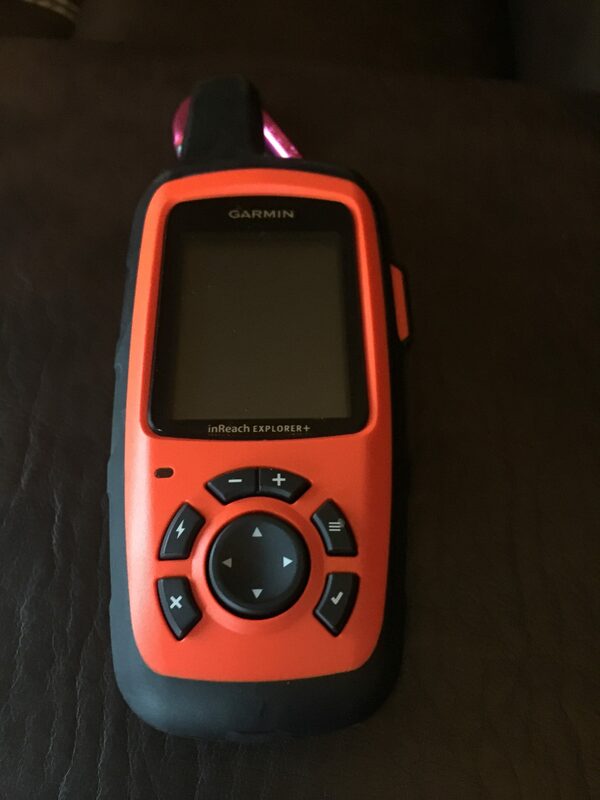 The Garmin InReach Explorer is a device that communicates via satellite. Thus, if call tower reception is unavailable for my phone, I have the Garmin as a back-up communication device. An important feature of the Garmin is that the device allows for two-way communication. I can text out, and I can receive texts back. Thus, if my IPhone reception does not work, or my battery dies, then I can use the Garmin device to communicate. If I were in an emergency situation, all I have to do is push the SOS button and my location will be routed to the nearest call center who can contact emergency services. In addition, because the device has two-way communication, I can tell the emergency responders what my emergency is and convey what services I might be in need of (i.e. did I get lost, or do I need emergency medical services and what type). Also, even in a non-emergency, being able to communicate with my husband and family is very important to me. The Garmin is pretty cool because it will leave a computerized breadcrumb path of where I’ve traveled and my family can watch me hike along. There are various settings for how often a breadcrumb is dropped. I’ve set mine to send a satellite “ping” every 10 minutes. For some, this might be overkill. In fact, Bison at REI had informed me that I don’t even need the device. Bison is a super awesome guy who completed the AT and has been helpful with gear information. Despite Bison’s cute little snicker at me lugging a heavy and redundant piece of gear, my husband I and find comfort in the fact that my family will know where I am located at any given time. While the Garmin works well for communication and emergency services, I find that it is cumbersome to use for hiking navigation. Thus, I use the Guthooks app. for navigation. I used the Guthooks AT app during my recent shakedown hike in Virginia and found this app to be worth every single penny! This app clearly shows you the trail step by step. In addition, the app shows where you are on the trail, and where you are if you’ve stepped off the trail. I used this app constantly to make sure that I was going the right direction and to verify that I was, in fact, on the trail. The AT is well marked with white blazes. However, there was an instance where a very large tree had fallen and I had to make my way around it. The guthooks app was very useful in helping me get back on the trail after I’d made my way around the obstacle. Another benefit of the app is that is shows locations for wat er, shelters, towns, points of interest, elevation, and miles needed to hike to next shelter. There is also a comment area where hikers can provide updated info about issues on the trail, such as the downed tree I mentioned above, or if a water sources is flowing or not. Using that app does use up battery. So, I will be carrying an external charger in order to make sure I have continued access to the guide. And, just in case, I will of course, be carrying a compass. How do I describe who I am? There are so many ways to describe myself, but not one that encompasses the many layers of my life. I am a wife, mother, sister, daughter. I am a dog lover, beekeeper, gardener, photographer, painter, writer. I am a Criminologist, researcher, and PhD. Much of my life, I have spent accumulating material things, like a big house, the nice furniture, the cool car, the awesome job. I drank the social kool-aid and bought into the idea that my worth was tied to money. I am currently in my mid-life, maybe a mid-life crisis, maybe a mid-life rebirth. In this mid-life chapter, I am reevaluating what's important and who I am. What words will I use to describe me for the second half of my life? I begin this chapter re-imagining self; I begin with transitioning to a minimalist lifestyle and detoxing from the social kool-aid. 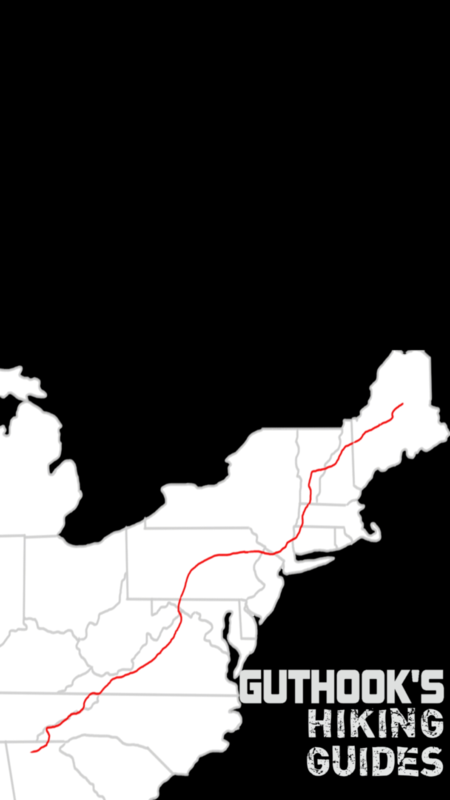 As part of my detox therapy, my ambition is to describe myself as thru-hiker of the Appalachian Trail in 2018. Best of luck with your trip. If you are not aware, Guthooks works in airplane mode. I have used when I missed a turn, and it is awesome. The rope idea is interesting. How much does the Garmen weigh? Thanks! I am using the Garmin In Reach and Guthooks app on my thru hike next year too. My parents and husband follow me on the Garmin and it gives them peace of mind. And the Guthooks app gives me peace of mind! Your posts have been great, hope to see you out there next year! After reading about Inchworm months ago it confirmed just how easy it is to get lost. I like you am terrible at navigating. Since my brain tumor that function is just void. Ive seen lots of people struggle with finding blazes on the AT and doing extra miles that no one wants to do. I thought about the rope technique also, especially at night. Id thought about a trail of M&Ms but was informed by other hikers that even though they are on the ground they would still eat them. Good luck with your AT hike. Hope to see you out there in 2018. Inchworm’s demise was a terrible loss, however it is very difficult to become lost on the AT. It is such a well worn path that even if not looking up at the blazes one should notice the difference in the treadway whenever stepping onto another trail. Fear and packweight are directly proportional. Extra clothing, gear and food can add up quickly. Have fun on you adventure. Greeter, he has youtube channel of his hike, did a thru hike and used the in-reach when he got injured in the 100 mile wilderness and was rescued by a forest ranger, very good idea ! Hi Cindy. I’m looking forward to following your hike. When are you starting? Anytime you are in the woods you should always carry 2 navigation devices as well as an EPIRB…anybody that doesn’t, is just too naive for reality. Disorientation happens quickly in the bush.